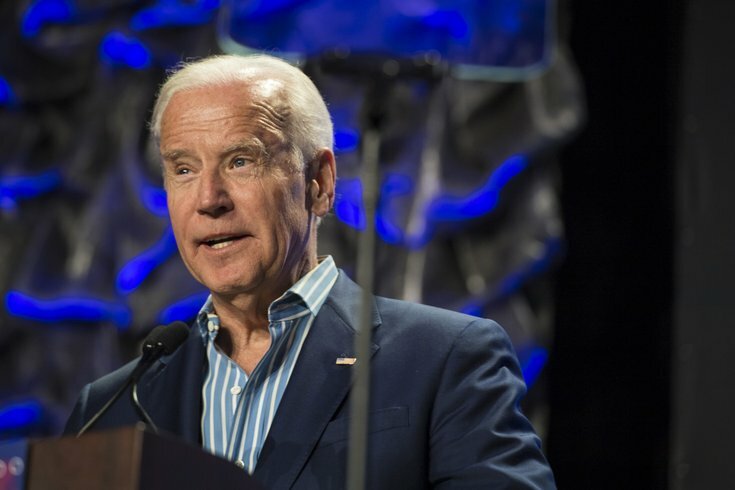 Former Vice President Joe Biden was in Pittsburgh this past weekend, running. Yeah, I'm saying that Biden was physically running. But the Internet could not resist turning it into a joke amid rumors he is considering a run for the White House in 2020. Biden, a Scranton-native who served in the U.S. Senate for 36 years representing Delaware before becoming President Obama's vice president, joined thousands of working families and union members in the city's annual Labor Day Parade. The 37-year-old parade is said to be the largest of its kind in the country. As far as the presidency rumors go, nothing has been confirmed or even hinted at. But it's no secret that Biden has been eyeing the top job for 30 years. The AP reported on Monday that he's planning to decide whether or not he'll run by January.